Why is it so hard to get along with your family? What were your parents like as you grew up? None of us grew up with perfect parents or perfect siblings, and none of us were perfect children. Read almost any Bible story and you will realize that God is very family with flawed family dynamics. Only God can bring redemption to flawed people and families. Not only family sins are redeemed by God’s grace, so is our family background. Your identity is no longer determined by your family of origin, but by who your are in Christ. As you depend on God for your identity, he will make it possible for you to change the way you relate to your family. God knows all about dysfunctional families and the hurt and sorrow you feel. He is not distant, silent, or passive. He wants to redeem your troubled family relationships, and he is calling you to be a part of that redemption by loving your family. Jesus is calling you to turn from love of self to love for him. Being defined by Christ’s grace and love and how you are in him will gradually free you to love your family well. You will grow in your ability to let go of your expectations for your family. Humility will replace the demanding cry in your heart to have your family treat you in a certain way. Humility will replace self-righteousness as you acknowledge that you are also a sinner who has let others down. You will no longer be controlled by the pressure of living up to your parents’ or family’s expectations because your identity and foundation for living is found in Christ, not your family. Because of what Jesus did for you through his life, death, and resurrection, God has poured an unlimited amount of grace, forgiveness, love, commitment, security, and commitment into your life. You are free to share with them the same grace and mercy God has given to you. Be careful that you don’t feel guilty for the abuse, but that you do own your response to the abuser. Ask God to help you stop carrying the burden of your abuser’s sins against you, and then ask him to show you where you need to repent. You also need guidance and encouragement from others to help you deal in a godly way with the wrongs committed against you. Don’t take sides and be drawn into new family feuds. Don’t take on the role of advising your parents how to parent your siblings. Be creative in how you spend your time together. Your children’s relationship with your parents and siblings requires the same kind of wisdom you need. But because they are younger and more vulnerable, it’s your job to make wise choices for them. If you are concerned for their well-being when they are around your parents, you must be their protector and advocate. 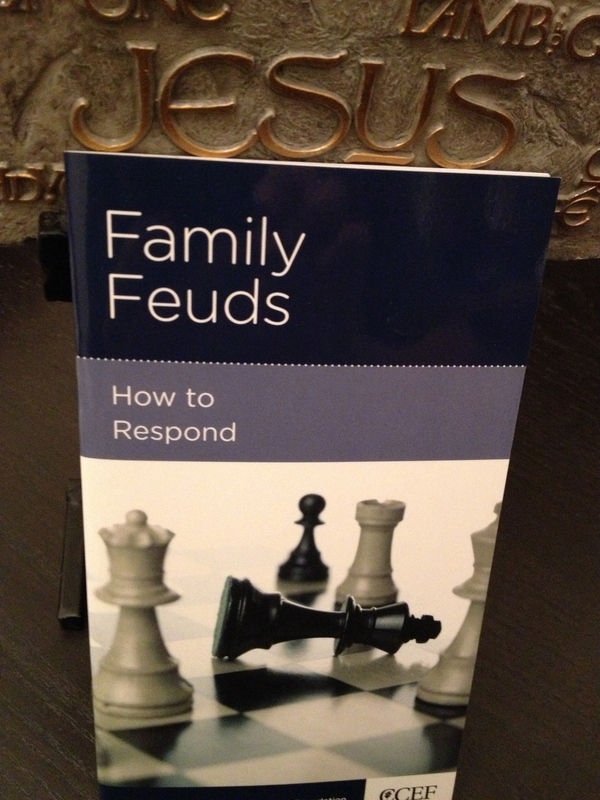 How you handle your family’s lack of response will show you whether you are moving toward them out of genuine love or out of self-centeredness. The sincerity of your love is tested in situations where the other person is not changing in the way you would like or as quickly as you would like. Ask the Spirit of God to change you, old barriers you have erected between you and your family will come down. You can depend on the unfailing love of God to change you and your family.